Swimming can be a sport for all ages. It helps young folks to tone their muscles and grow healthy and robust. For the elderly, there's no much better method to exercise than choosing a Adelaide Pool to escape from everyday routine. There are frequently discounts available to senior citizens and tiny youngsters for independent swim. 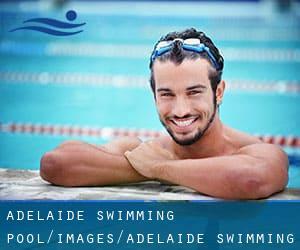 Find out by contacting your nearest pool among these varieties of Adelaide Swimming Pool (City). Please have a look at the pools swimmers like you've got reported near Adelaide. Please, report any Adelaide Pool not listed here. We possibly don't know all the Pools in Adelaide. Are you missing any? Contact us!. Please use the contact knowledge provided at each and every pool profile to check if they're offering aquagym lessons, considering that isn't so common to find out an Aquagym in Adelaide. Most from the varieties of Adelaide Swimming Pool (City) present both open lanes for independent swimming and also guided activities like water aerobics or Aquabike. Updated on 2019 Ethel Street (off Leader Street) , Forestville , Adelaide Metropolitan Area , SA , AUSTRALIA (Postal Code: 5061). This sports centre provides Olympic size x 20 meters, 8 lanes, Outdoors. For this Swimming Pool, only phone number is number here. 117 Sherriffs Rd. , Reynella , Adelaide Metropolitan Area , SA , AUSTRALIA (Postal Code: 5161). Swimmers like you reported 25 meters, Indoors. Unfortunately we do not have the e-mail address of this Pool, but we can give you the phone number. Updated on 2019 1 Meyer Street , Torrensville , Adelaide Metropolitan Area , SA , AUSTRALIA (Postal Code: 5031). Swimmers like you reported 25 meters x 12.5 meters, 7 lanes, 0.92 meters - 3 meters depth, 0.92 meters - 3 meters depth, Indoors. Unfortunately we do not have the email address of this Swimming Pool, but we can give you the phone number. 1 Crockerton Road , Elizabeth , Adelaide Metropolitan Area , SA , AUSTRALIA (Postal Code: 5112). This great and large sports centre lets professional swimmers like you enjoy Olympic size, 8 lanes, Indoors. Additionally, within these facilities you can try 25 meters, Indoors. Phone number and e mail address are number for this Pool. 235 Flinders Street , Adelaide City Cente , Adelaide Metropolitan Area , SA , AUSTRALIA (Postal Code: Unknown). Swimmers like you reported 25 meters, 4 lanes, Non-Chlorine Sanitized, Indoors. Unfortunately we do not have the e-mail address of this Pool, but we can provide you with the phone number. Updated on 2019 War Memorial Drive , North Adelaide , Adelaide Metropolitan Area , SA , AUSTRALIA (Postal Code: 5006). This great and large sports centre lets professional swimmers like you enjoy 25 meters, Indoors. Additionally, within these facilities you can try 25 meters, Outdoors. Unfortunately we do not have the email address of this Swimming Pool, but we can give you the phone number. 2-46 Cowan Street , Angle Park , Adelaide Metropolitan Area , SA , AUSTRALIA (Postal Code: 5010). Swimmers like you reported 25 meters, Indoors. Unfortunately we do not have the email address of this Swimming Pool, but we can give you the phone number. 195 Victoria Road , Largs Bay , Adelaide Metropolitan Area , SA , AUSTRALIA (Postal Code: 5016). Among all the activities supplied by the centre, if you are thinking about swimming you'll delight in 25 meters, 6 lanes, Indoors. If you should make contact with this Swimming Pool, email address and phone number are both number. Updated on 2019 586 Marion Rd. , Plympton Park , Adelaide Metropolitan Area , SA , AUSTRALIA (Postal Code: 5038). Among all the activities supplied by the centre, if you are thinking about swimming you'll delight in 17 meters, Indoors. Just in case you need to make contact with this Swimming Pool before dropping by, we only know the phone number. 541 Morphett Road , Seacombe Gardens , Adelaide Metropolitan Area , SA , AUSTRALIA (Postal Code: 5047). Swimmers like you reported 25 meters, 6 lanes, Indoors. Unfortunately we do not have the email address of this Swimming Pool, but we can give you the phone number. Updated on 2019 1 Wilford Avenue , Seaton , Adelaide Metropolitan Area , SA , AUSTRALIA (Postal Code: 5023). This sports centre offers 25 meters, 5 lanes, 0.7 meters - 1.2 meters depth, 0.7 meters - 1.2 meters depth, Indoors. Contact data for this Swimming Pool such as phone number and e-mail address are number. Jeffcott Road , North Adelaide , Adelaide Metropolitan Area , SA , AUSTRALIA (Postal Code: 5006). Few days ago a common user of this centre told us they offer Olympic size, 8 lanes, 1.1 meters - 2 meters depth, 1.1 meters - 2 meters depth, Indoors. Furthermore, they keep in good conditions 30 meters diving well, Indoors. Contact information for this Pool such as phone number and email address are number. If you're tired of getting eyes and irritated skin, finding a saltwater pool in Adelaide might be the answer. You should understand that the degree of salt from these pools is well below the degree of salt from sea water, particularly they are talking about a tenth or less. There are several alternative treatments to chlorination, with wonderful advantages that make certain better water quality in the pool. A single possibility may be the mineralizer, which purifies water naturally and significantly decreases the chemical substances applied and maintenance time. Try Chlorine Totally free pools in Adelaide. Enjoy the best indoor pools in Adelaide and don't worry about the weather. These facilities are open all seasons and you can enjoy a swim at the same temperature every day of the year. One from the advantages of outdoor swimming in Adelaide may be the possibility to sunbathe during the summer season. Taking it with extra care, sunbathing is healthful given that introduces Vitamin D into the body, so the top choice seems to be switching in between indoor and outdoor pools depending on the season. There are several factors why you should choose a heated swimming pool in Adelaide. Essentially the most important one relies on the importance of keeping the body temperature stable. If the water is too cold, your body will try to warm it up and you will shed strength to swim correctly.